At the beginning of Pigeon Forge you are greeted by an upside down building, the bow of an ocean liner looming over the Parkway and a great big hillbilly mansion covered in laundry and goats and surrounded by barnyard animals like chickens and pigs. 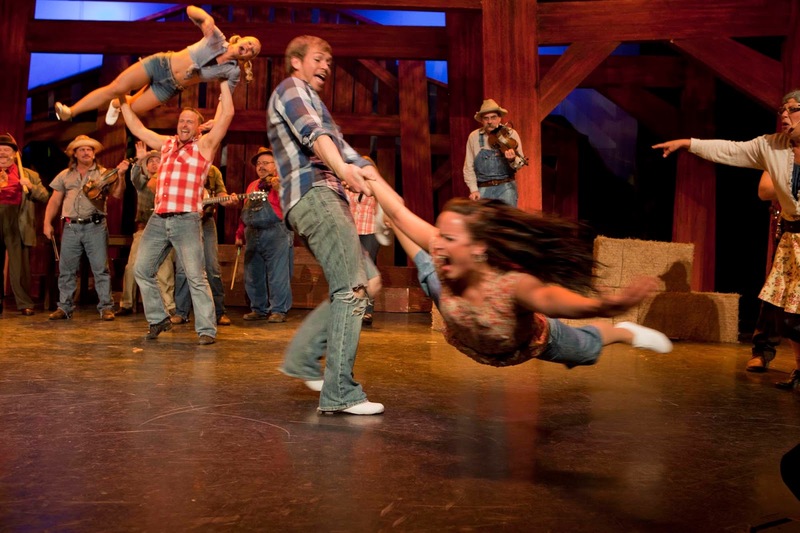 This location is the home of the Hatfield & McCoy Dinner Feud where you can feast and be entertained by some of the area's best dancers, musicians and comedians. So let's talk about the show first. 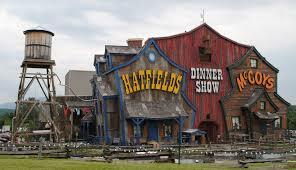 The story goes that the Hatfields made fun of the McCoys, or the McCoys stole from the Hatfields, but whatever the truth is both families have been feuding for generations. They are a little more peaceful now but no less rowdy. Now they try to beat the other family with their musical skills or their dance moves and end up in a head-to-head competition set-up by the evil Mayor so that both families fail and he can run them off! Talk about intrigue!! 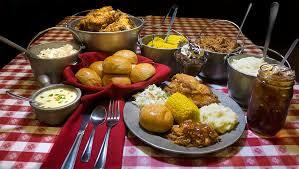 While all of this is going on up on the stage, you are enjoying a country feast eating all you care to eat. Start out with Feudin' Fried Chick'n and Open Pit Pulled-to-Pieces Pork Barbeque. Then pile on the sides including creamy southern style soup, smashed mashed taters, corn on the cob, coleslaw and Ma's hot homemade bread. If that doesn't fill you to the gills, chow down on Granny's specialty dessert. Show times are 5 and 8 pm so come hungry and ready for fun. 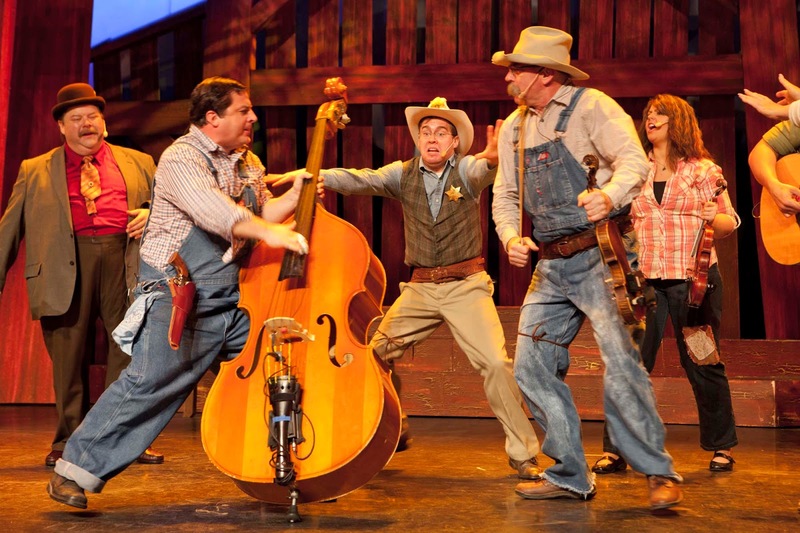 When you are making y our plans to come to Pigeon Forge, check out all there is to do and get coupons for attractions, restaurants, outdoor activities, shopping and live shows at http://bestreadguidesmokymountains.com/. For more deals and information download the BRG App from your app store.